As ARC Advisory Group analyst Craig Resnick correctly pointed out in a recent blog, the industrial space is much more complex, dynamic and infused with Big Data, forcing manufacturers to turn to advanced analytics, artificial intelligence and machine learning (ML) to support predictive and prescriptive analytic solutions. ML is gaining popularity as it enhances supply chains, creates economies of scale and generates sales by creating products that earn customer trust. With ML, manufacturers gain insights that help them build safer products better, faster and cheaper. While low-cost sensors and processors are enabling greater amounts of production data to be collected and processed at “the edge,” many manufacturers still struggle to harness its value. A relatively new approach to data collection and analysis is “edge analytics and processing,” which occurs when an automated analytical computation is performed on data at a sensor, network switch or other device instead of waiting for the data to be sent back to a centralized data store. By moving analytics to the edge of the network, and closer to the data sources, manufacturers can improve process quality and production yields — provided the massive amounts of data is trusted and put into context. In fact, for ML to deliver as expected, it must start with the premise that the quality of data is up to par; and for that, many are looking at Master Data Management (MDM). MDM allows manufacturers to leverage the data needed to increase business performance and operational efficiency, introduce new products and services to market faster, streamline business processes and reduce returns. More importantly, it allows them to become data agile so they can adapt to ever-changing demands and be enabled rather than hindered by data. Manufacturers that want to be enabled by data must think beyond simply mastering product and customer information and ensure proper consideration is also made to their reference data. This is critical because companies use both internal and external reference data to categorize everything from product, industry and customer information. Reference data establishes sets of allowed values for specific data fields and ensures that data always conforms to standards, whether within an organization, an industry or a location. Common examples of reference data are country, units of measure and conversion rates. However, reference data is often maintained or stored by different departments and in multiple systems, which can hinder key business decision-making and expose manufacturers to unnecessary risks by failing to adhere to regulatory compliance and increasing downtime for enterprise applications. MDM addresses this by allowing manufacturers to create a central hub for all reference data values, so they can efficiently manage reference data across the organization and ensure it is properly integrated, cleaned, defined and secure. Today manufacturers are challenged to optimize their supply chains, create next-generation products and spawn sales. They also need to meet regulatory compliance, maintain operational efficiency and ensure data quality throughout the organization. To meet these objectives and be truly efficient, manufacturers are also sharing data outside of their organization by linking operational information with suppliers, retailers, distributors and trading partners to achieve even greater value. MDM delivers seamless collaboration among parties which facilitates more cost-effective decisions. It also creates the ability to resolve supply issues quickly to minimize any impact it could have to customers and the bottom line. With increasing demands to reduce time-to-market while at the same time keeping up with suppliers, distributors and end users, manufacturers are finding that the growing amount of business data generated from ML and other sources is working against them rather than for them. Without clean, up-to-date data, overcoming these challenges becomes increasingly difficult, if not impossible. While Master Data Management has helped, enterprises still need to consolidate their views of the customer or product from within internal and external sources, and traditional solutions have not scaled to handle the connected world. After-all, no matter how much data there is, or how fast it needs to move, the aim is to deliver timely information that users can convert into actionable insight. Master data management solutions will continue to be the source of truth and will serve as a logical starting point for Big Data analysis and edge analytics. Manufacturers considering utilizing modern approaches need to have a full MDM strategy in place as master data management will serve as the backbone of machine learning and Big Data applications. In fact, with a solid MDM framework and approach, organizations can perform better analysis and achieve more accurate insights from all types of data and sources regardless of how or where they were obtained. 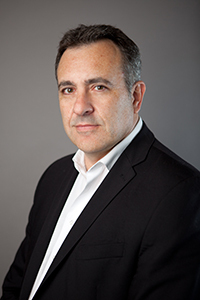 Christophe Marcant is senior vice president of strategy and communication for Stibo Systems, the global leader in multidomain master data management (MDM) solutions. For more information, contact him at chrm@stibosystems.com or visit www.stibosystems.com.